Adopting a puppy mill dog means rescuing a pup from a horrible existence. But be prepared for some challenges. These dogs have had no socialization. When they have been handled, infrequently by their keepers, it’s usually with rough treatment. They have spent their lives in small, wire cages with little or no time outdoors. They’ve never been inside a home and have had little contact with humans. 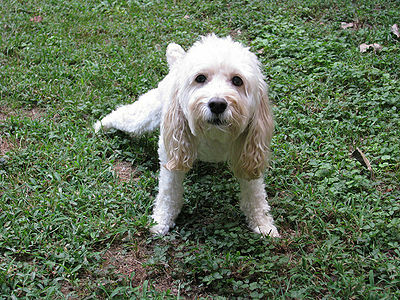 Puppy mill pups don’t know how to play, can be distrustful of humans and are very fearful. Sadly, many of them don’t know how to be dogs. Handling a pup that has been rescued requires a lot of patience and gentleness. The simple act of picking up a dog can cause these pups to freeze, sometimes rolling over on their backs and urinating out of fear. If you use a crate for your pup, place it in an area where there is a lot of family traffic. Your pup will then become accustomed to all the noises and activity and still feel safe in the crate. A strategy for getting a pup used to you is sitting on the floor nearby quietly. After some time, offer a treat. If the pup won’t come to you, place the treat on the floor close to where the pup is sitting. You can speak softly using the “come” command gently. At the beginning the pup may look for an avenue of escape, but hopefully will soon realize that you are not a threat. Handle the pup gently, giving lots of pets and scratches. This will accustom your pup to the gentler touch of a human hand. When feeding a mill pup, stick to the same daily schedule. Regular feeding times allow the pup to know that you are the one to look at for tasty food. Your pup may hesitate to eat at first, so don’t force it. Try offering treats in your hand. If your pup takes them, it means s/he has begun to trust you. When friends visit ask them to sit quietly. Don’t force attention on the pup, wait to see if s/he approaches. Then your guest can hold out a hand for the pup to sniff. Don’t be discouraged if your pup hides when company comes. House training can be another hurdle. 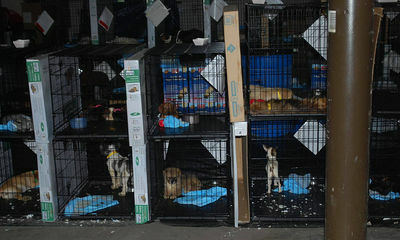 Remember that these dogs were kept in cages constantly and had no choice but to soil in them. Never scold your pup for soiling in the house. Instead check when you think your dog is ready to “go” and take him/her outdoors. 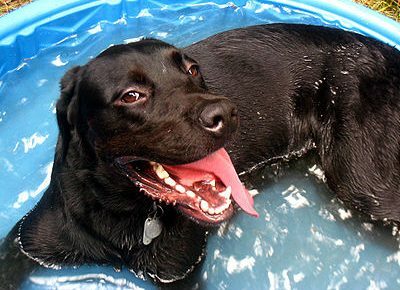 Since dogs usually go potty after eating or playing, sticking to a routine helps. Whenever your pup “goes” outdoors, praise lavishly. It’s important to accustom your pup to the leash. You can clip the leash to the collar and let the pup walk around that way until it no longer frightens him/her. If you have another dog at home, see how your mill dog reacts. Often having another dog around gives the mill pup some security. However if the mill pup is fearful, keep them apart for a while and make introductions gradually, preferably outdoors. Success can be measured in small steps. Don’t be surprised or upset if there are reversals in behavior. 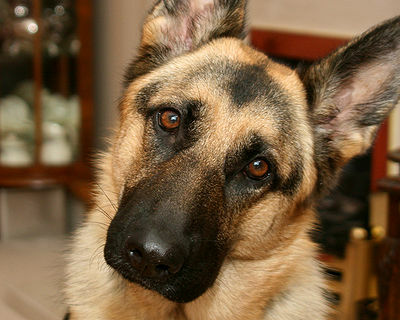 Watch your pup’s body language – it can be a valuable aid in teaching you to understand his/her behavior. Never force your pup to do anything. Always be patient and gentle. Most puppy mill pups eventually learn to trusts humans who treat them kindly. There are some dogs who remain fearful or are not the cuddly type. But keep in mind that they deserve a loving home too.